ProMark started a trend when they introduced the original Hot Rods. Over the years, other companies have tried, unsuccessfully, to duplicate the unique sound and feel of these originals. Voted as one of the top 15 percussion products of the last 25 years, the family of Rods produces a lower volume than sticks, but more attack than brushes...perfect for a variety of applications. When regular sticks are too loud and brushes are too soft, Rods are just right. These sticks are handmade in the USA of select birch dowels. 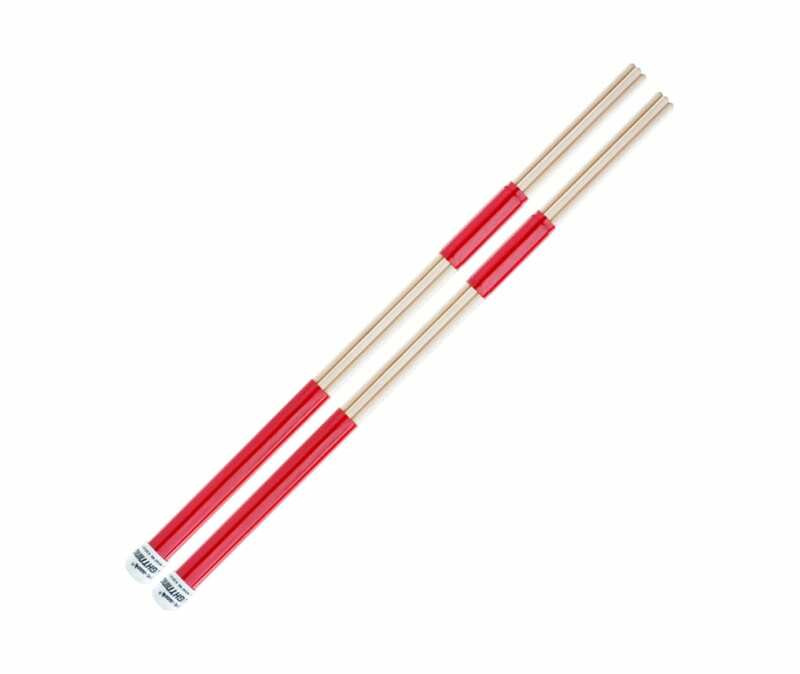 These are the Lightning Rods version of the original which offer more attack and a bright cymbal sound...the larger diameter dowels mean extra projection and added durability.